It was a fruitful Sunday. I enjoyed hanging out with my secondary school friend who was just back from UK for a short break and another friend of mine whom I have not met them for years. Things changed somehow over the years and I am glad that all of us changed for the better. Anyway, I am fortunate enough to spend my lovely Sunday with a bunch of bloggers along with Muse by Watsons team to explore the new products in their store. 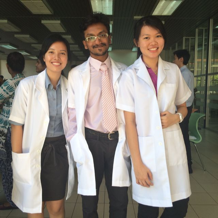 It's none other than - 3 Concept Eyes (3CE) and Indeed Labs. I have been hearing good reviews about 3CE products but I did not get the opportunity to try them myself because it's not available in Malaysia except for online stores. It's good to have Muse by Watsons carrying this brand from Korea to Malaysia for beauty junkie like me to try these awesome products personally before purchasing any. 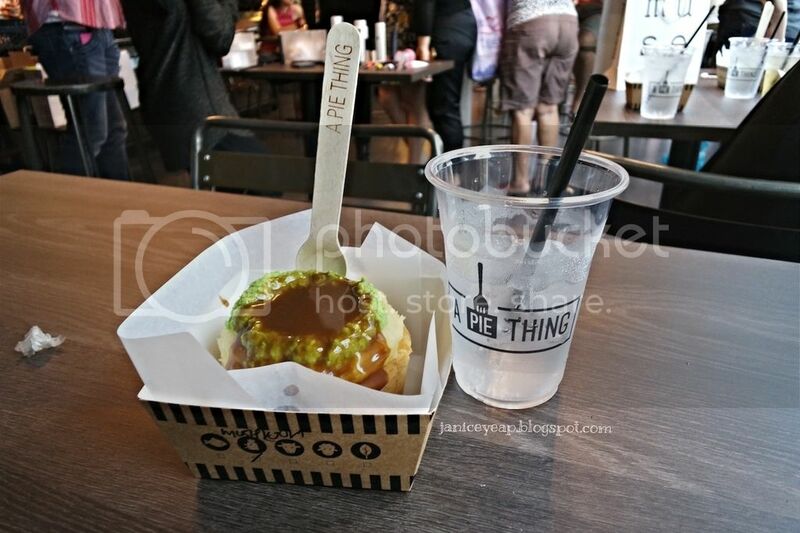 The event took place at A Pie Thing, Damansara Uptown. I too have been hearing good reviews about their pies and I can't wait to try these pies myself. The cafe opens at 4pm daily and there was a long queue already when I got there at 4 pm. Some of them were already queuing outside before 4 pm till the door opened. I ordered mushroom chicken set which comes with a drink on that day. Was overwhelmed when it comes to talking about food. *wide grin* Back to the beauty topic. Hehe. 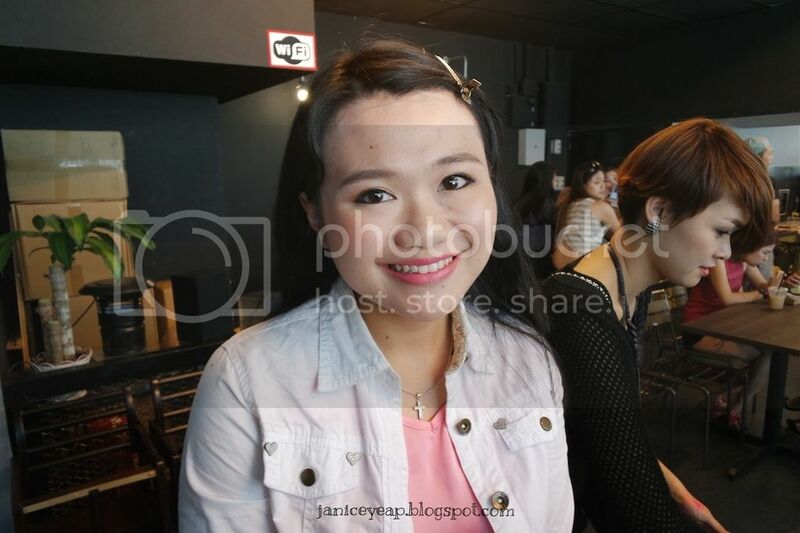 Miss Amanda, the brand manager of Muse by Watsons is a friendly and sweet-looking lady. 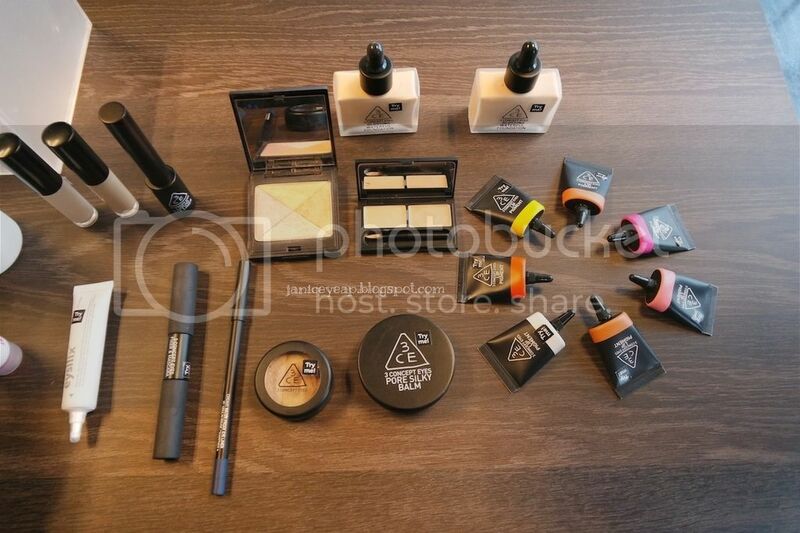 She introduced the products from 3CE and Indeed Labs before we proceeded to the make up demonstration. Since no one offered to become volunteer, Miss Amanda picked Miriam to be the model of the day. 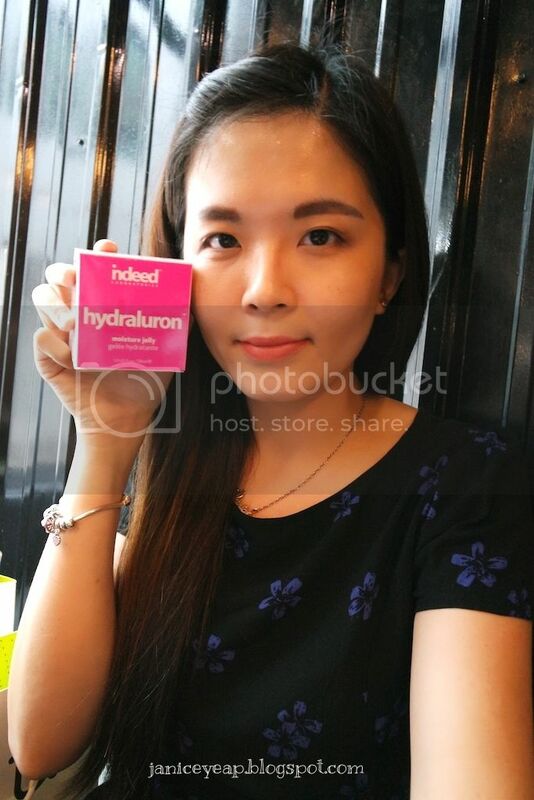 Since Miriam put on the makeup, Miss Irene had to remove it and before applying makeup, she applied Hydraluron Moisture Jelly (RM99) on Miriam's face to retain moisture on her face. 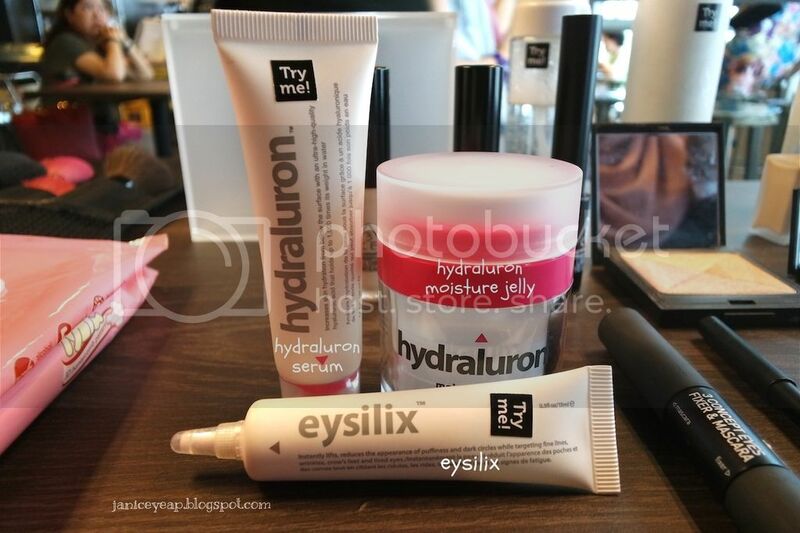 Hydraluron Moisture Jelly helps to provide both instant and long-term locked-in moisture to the skin through a sophisticated complex of 5 key actives, which support the natural protective layer of the skin, helping to restore moisture levels and defending against future loss. Best of all, this jelly formulation wears well under makeup. Then Miss Irene started off with 3CE product which is Pore Silky Balm. This Pore Silky Balm works as a primer which conceals the rough and bumpy skin for a smooth canvas finish. This Pore Silky Balm locks moisture under skin leaving the skin surface soft and maintains the balance of skin. Next step is to apply concealer on the imperfection of the skin. 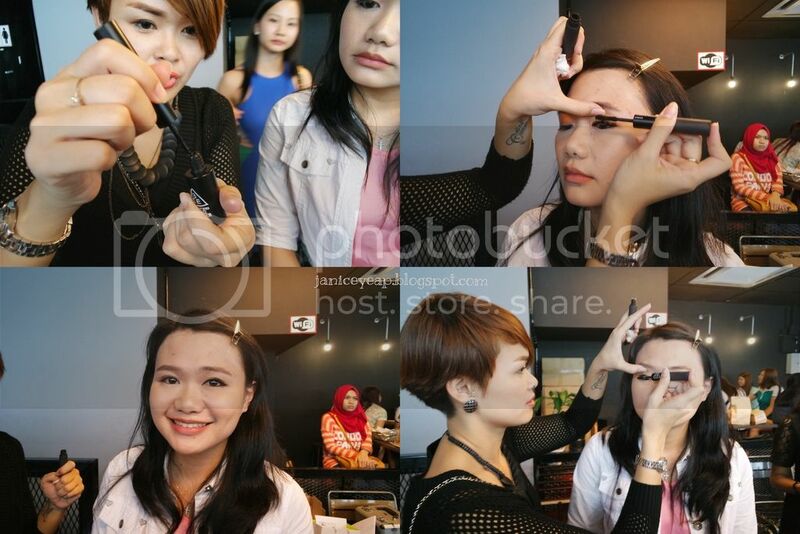 Miss Irene used 3CE Full Face Concealer (RM114) to cover up dark circles, blemishes and dark spots on Miriam's skin. This concealer has excellent coverage for flawless skin with the excellent coverage concealer that covers skin imperfections and elevate the dull-looking skin to a brighter skin tone. The next step is to use 3CE Shimmer Glow Bloc (RM112). This colourful glow of light expressed in 4 colours. This Shimmer Glow Bloc creates transparent, luxurious glow with the terra cotta method and various looks with an assortment of touches. 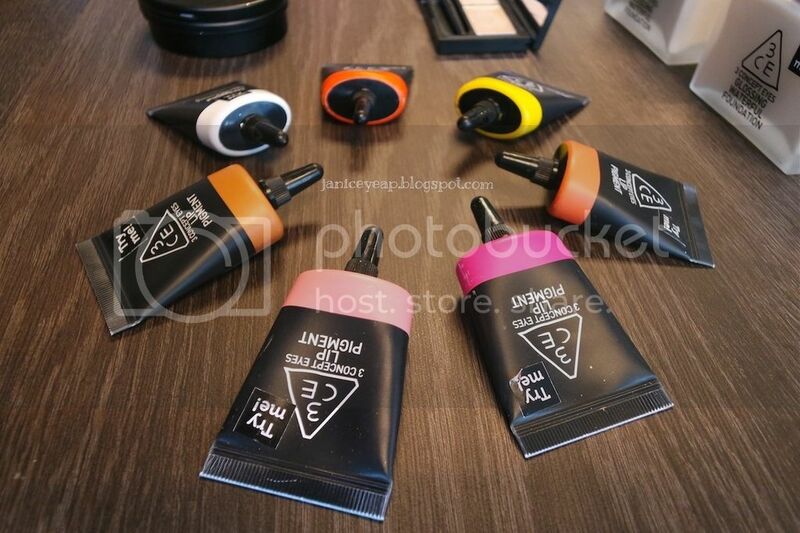 This 4 colours of shimmery gold, pink, beige and orange can be used to add the instant glow to your face. You can also use the Shimmer Glow Bloc as a finishing powder with one touch of its luxurious shimmer texture and as a blusher with 2 touches and as a soft highlighter with 3 touches. It also can be used as eye shadow too. 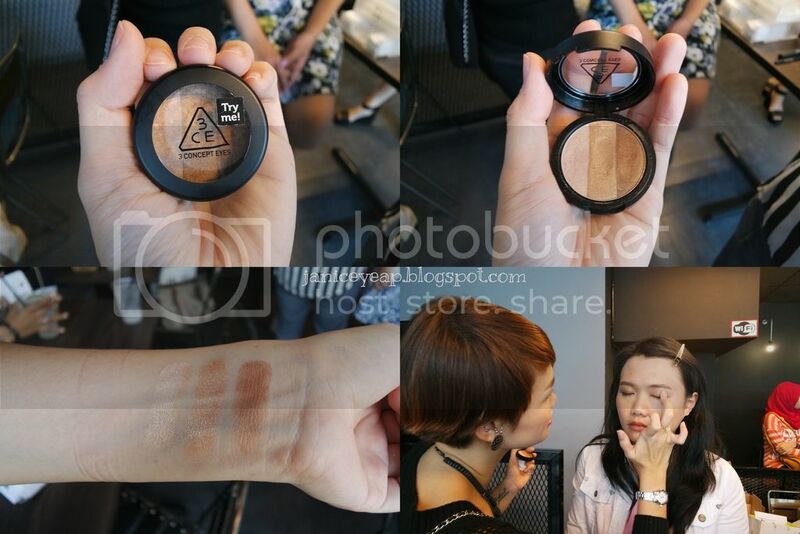 After that, Miss Irene applied the 3CE Eyes Triple Shadow on Miriam's eyes. This 3CE Eyes Triple Shadow is a neutral brown colour variation. You can have the perfect natural makeup wherever you go by brightening up your eyes with this classy brown variation. This eyeshadow has an easy-blend texture that blend flawlessly. The pearlescent glow will also leave the skin a glossy and shimmering finish. Miss Irene moved on with next step by applying eyeliner and mascara on Miriam's eyes. You can see Miriam's eyes became visibly bigger after applying mascara. The last step is applying lips. 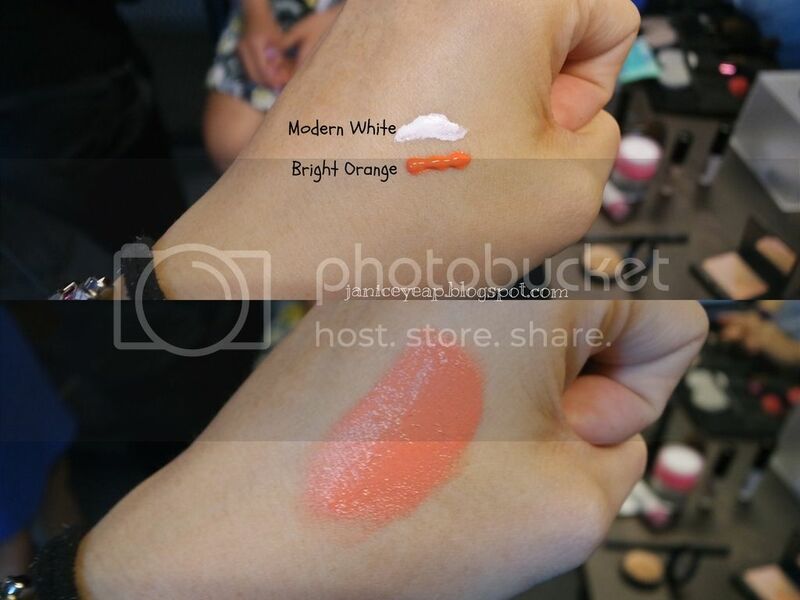 3CE is famous for their Lip Pigment which comes in 7 colours. 3CE Lip Pigment has soft and light creamy colours which the colours will stay on the lips for long hours. 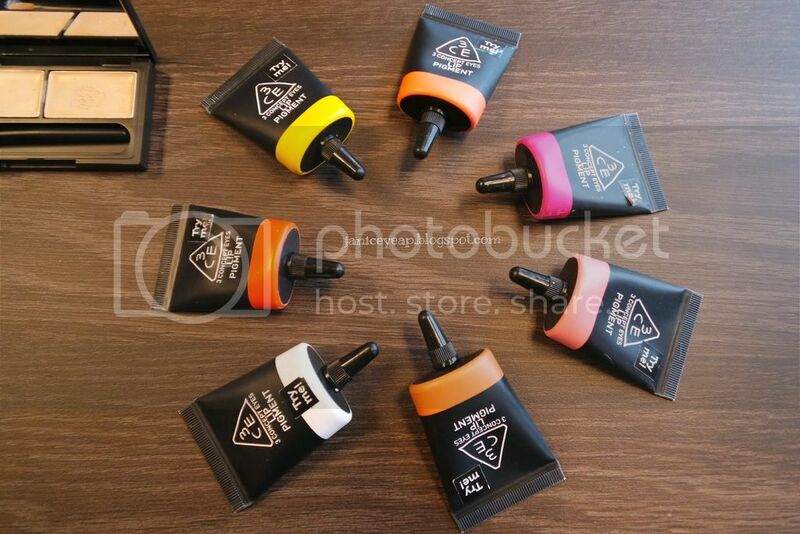 Do you know that you can also use mixture of colours from Lip Pigment for more variety? 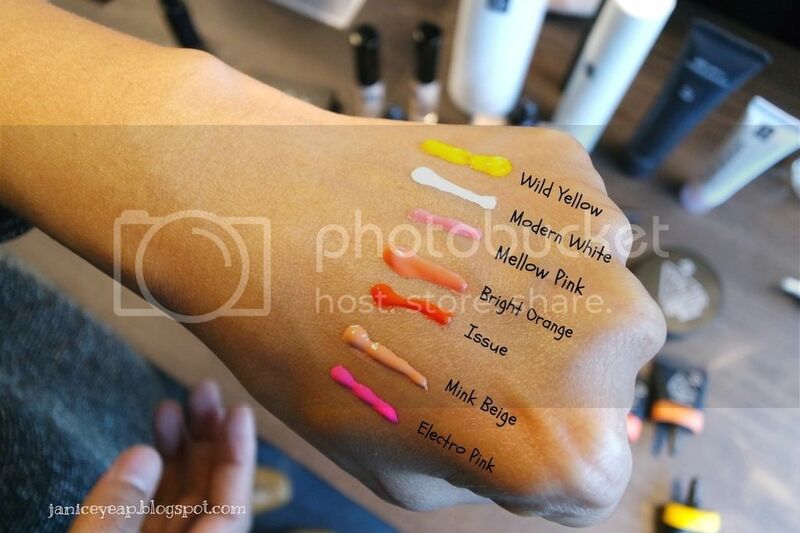 Here's the swatches of the Lip Pigment. Thank you Jannah for the swatches. I played with two colours which is Modern White and Bright Orange and blend in the colours to get a different mixture of lighter orange. Here's the final look of Miriam with all the 3CE products on her face. I did not take the before-makeup photo. However I noticed the difference of before and after makeup and she looked so cute with the look. Anyway, thank you Muse by Watsons and The Butterfly Project for having us. I can't wait to play with the products and do reviews on them. Do stay tuned to my review about 3CE and Indeed Labs products alright? 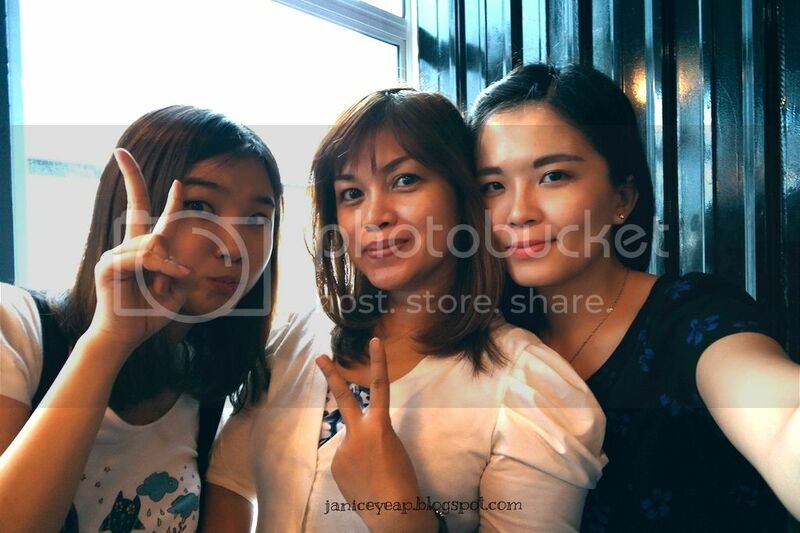 Jean, Kak Ella and I. Indeed Labs and 3CE is now available at Muse by Watsons, Sunway Pyramid. 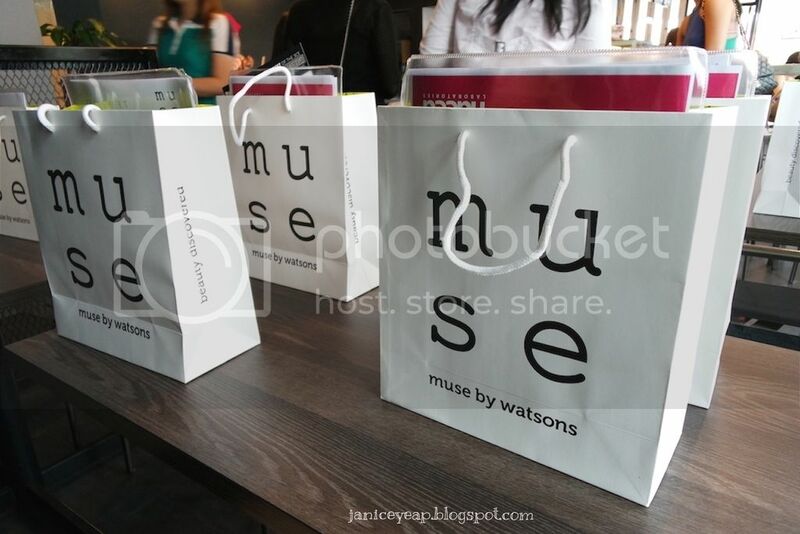 For more details, visit their Facebook page: www.facebook.com/MusebyWatsons.